One of the things I see very important is user adoption. We can develop brilliant technologies, but if nobody uses it, the value of these technologies will be very low. I see Process Technologies as very important for the Product Lifecycle development… One of the problems I see today is that there is inconsistence between the definition of the Process and its usage. 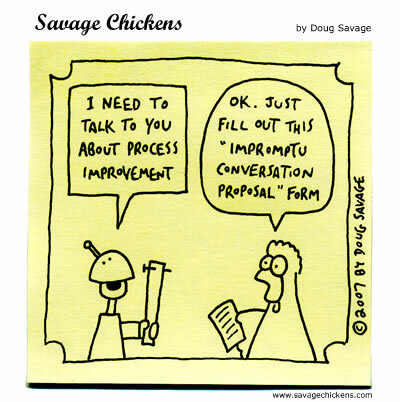 I think definition side of “process technologies” works very well. We can define who is doing what and when, how information is flowing and many other details. But as soon as we start this process, many things change. People move, new tasks and changes appear, and at the end it’s not easy to understand what is going on, how to execute, monitor and manage the changes in this process. Therefore, at the end, many of processes slap and become very formal or less usable. So, what can we do in order to prevent it? Flattering Processes Definition. A process needs to become more modular, simple and changeable. Simplification of the User Interface. We need to remove complexity. Simple… Actually, users need a list of tasks to perform on daily basis and a list of follow up tasks. We need to massively use mobile and other alternative communications and collaboration tools to allow users to follow up the processes. Flexibility and Change. Changes will come very fast. Life and organizational processes are really dynamic. Process implementation must allow managing those changes. It should be easy-to-make step. We need to be able to re-assign people, change/cancel tasks and to change the process itself. I love the “flattering process definitions” 😉 They must be flattering for their owners “this is how my process look like and that’s currently a/our best practice”. The owner should not be afraid/ashamed to show its process definitions. Flattening process definitions, making them more concise, is probably what you want to express. But still “flattering” opens interesting reflections. John, Thank you your comments. Good to have you on board for discussion. I think you got my point… Process definition should not be “for internal purpose”. Process definition is something we need to do for ourselves in organization and this is should be done in the way to help us organize work in better way. This is my “flattering perspective”… Best regards, Oleg. I couldn’t agree more with your observations. I was part of the requirement gathering and process definition team for a large (1500+ users) PLM implementation, I am currently part of the Production Support team for the same project. I am in the (unique?) position of having set the “definition” for processes and getting to see their real time “usage”, and the two are sometimes farther apart than the Earth and the sky. I believe this gap between definition and usage is probably the single biggest ground-level risk to the success of any IT project. It is my experience that this gap is a self-widening one, and it widens at an alarming rate. Ganesh, Thank you for your comment and welcome to plmtwine!…. You pointed also on very important capabilities related to process improvement. If you have an option to see actually what usage rate for processes in organization, it can be additional measurement for future process management and optimization steps… Best regards, Oleg. great point with the flexibility. 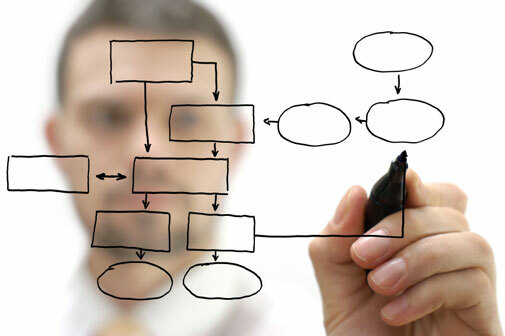 it’s very important for any process map to have extreme flexibility to be able to quickly and easily accommodate any changes within your company. this will save lots of money down the road on future upgrades and improvements to a process. James, Thanks for your comment. Flexibility and upgrades is something that enterprise still need to learn. There is some promise in the scope of future SaaS/ondemand solutions, but in any case today upgrades and re-configuration of software burns lots of $$$… Best, Oleg.